We’ve all heard of probiotics– the live bacteria and yeast that keeps our gut running in tip top shape. Yet there’s another food group that plays an important role as well, and this group is prebiotics. Let’s explore a little bit more about prebiotics and what they can do for our health. Simply put, prebiotics are a type of non-digestible fiber compound. In the science of it all, prebiotics pass through the digestive tract and remain undigested, just like other high-fiber foods. The human body cannot break down these high-fiber foods, so they pass through to reach the colon where they are fermented by bacteria in our gut. As mentioned above, prebiotics are carbohydrate fibers that we cannot digest – so they help move things along in our digestive tract. Probiotics are bacteria (the good kind that we need) that helps keep the bacteria levels in our gut in check. Probiotics need prebiotics to feed off of, so they go hand in hand. Being a source of fuel and nutrient source for probiotics is a crucial role of prebiotics in order to improve gut health. Together they have the capability to preserve our health by maintaining exceptional levels of intestinal bacteria that is essential for our digestion. Better digestion and nutrient absorption. When we have better digestion, we feel and look less bloated, and we become more “regular”. When there isn’t a backup of food in our digestive tract this allows nutrients from the foods we eat to be more easily absorbed. Even better, is that a diet rich in prebiotics helps us naturally feel full so that we aren’t constantly experiencing food cravings. It diversifies the bacteria in our gut. When we have healthy levels of bacteria, we can experience a general healthy level of wellness as our gut is known as the epicenter of our immunity. Our gut is tied to many different systems in our body that helps us preserve our health, so maintaining these healthy levels of bacteria through a balance of pre- and probiotics is essential. The healthy balance of bacteria thanks to the relationship of pre- and probiotic foods keeps our immunity in check which in turn also lowers our stress response (since we tend to feel stress or react to stress in our gut). Prebiotics have also been linked to lowering the pH levels in our gut which when are too high, can cause harm to this system. May lower inflammation and cholesterol. By including prebiotics in your diet it helps naturally lower inflammation in our body, and thus lower cholesterol levels. The issue is that when you eat a lot of saturated fat which is found in animal products, it increases the bad cholesterol levels in your body which can then cause major problems like coronary heart disease. So, when you add prebiotics to your diet, studies have shown that it helps the body metabolize fats and helps control how our body stores fat. As we’ve mentioned in our previous articles about gut health and the mind-gut connection, the state of our gastrointestinal system has been researched to show that it can affect our mood and even how our hormones are balanced. When the bacteria in our gut is out of whack and not balanced, it can have a negative impact on the neurotransmitters in our brain that control feelings of anxiety or stress. Additional studies have also shown that eating foods rich in prebiotics can also help lower cortisol levels. 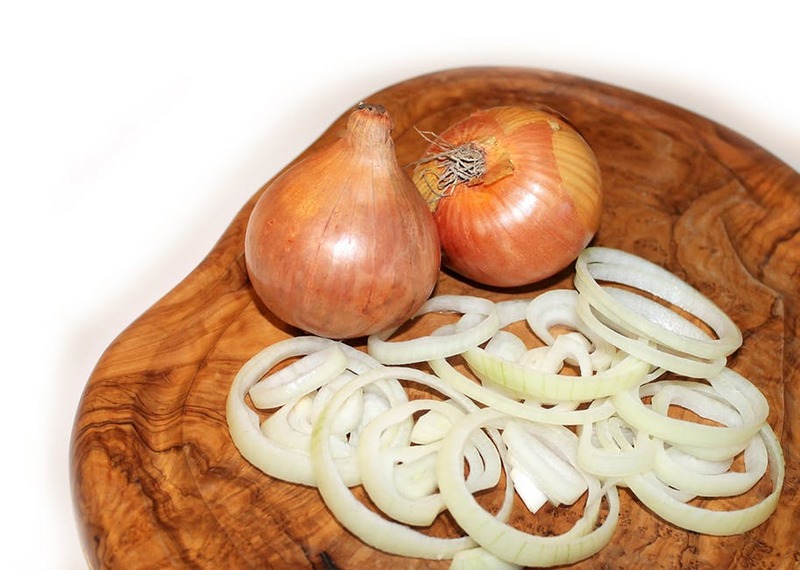 Check out some of these prebiotic rich recipes below, or simply add onion and garlic to your meals to step up your prebiotic consumption. The health of our gut is essential to our overall health. By keeping our gut happily functioning, we can reduce our risk for problems later on in life. Do yourself a favor and start incorporating prebiotics into your diet!